Firstly there will be a tour in Europe moving onto the USA and Australia. The project will use state of the art technology and the exhibition will be ahead of its time. It will be an all singing, all dancing event like Mamma Mia on Stage! Helen To Play Kristina in New York. Helen Sjöholm, who originated the title role in the Swedish production of KRISTINA, and internationally renowned & beautiful tenor Russell Watson, will headline the concert version of Benny and Björn’s musical at Carnegie Hall featuring a 50 piece symphony orchestra conducted by Paul Gemignani. Directed by Lars Rudolfsson, the complete 32 member company will be announced shortly. Comments : Comments Off on Helen To Play Kristina in New York. 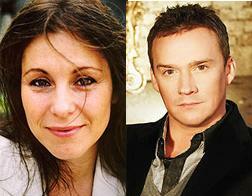 New London cast for Mamma Mia! Major cast changes in Mamma Mia!, The new cast will include: Sally Ann Triplett (Donna Sheridan), Katy Secombe (Rosie), Norman Bowman (Sam Carmichael), Christopher Hollis (Bill Austin), Niamh Perry (Sophie Sheridan) , Ben Heathcote (Pepper), Sam McKay (Eddie). Comments : Comments Off on New London cast for Mamma Mia! STORY OF A HEART + LYRICS! Comments : Comments Off on STORY OF A HEART + LYRICS! The CD will be available to buy at the concert in London on July 4th. As was well expected from comments made by Bjorn, Kristina is to be released on CD in English. 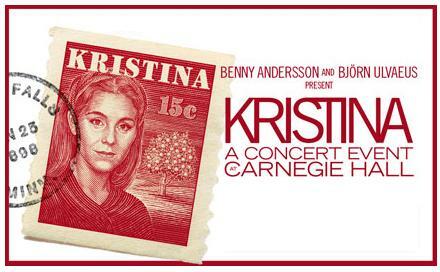 Universal/Decca will be releasing a live cast recording from the Kristina Concerts at Carnegie Hall. 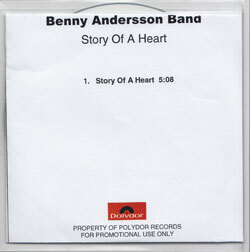 Going with Benny and Bjorn’s long established and highly successful format of releasing a cast album first before producing a stage version. CHESS AND KRISTINA FRAN DUVEMALA both saw the light of days as a cast recording before going on to be successful Stage production. 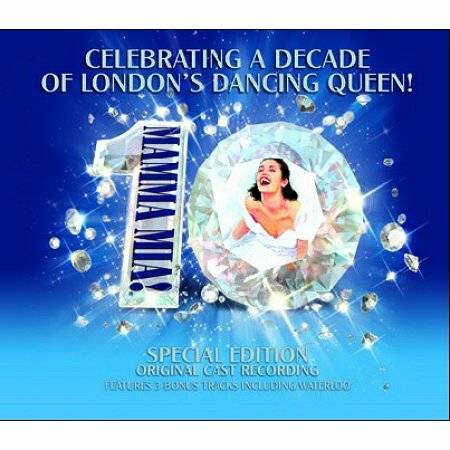 Although over a longer time span MAMMA MIA! evolved the same way. KRISTINA is belived to be released as a double CD shortly after the concerts.